It’s good to be a Shade. New songs are coming and it’s just about time to get leaving again. We’ll be logging some major miles on the Chevy Express this summer and bringing these new tunes and also new faces to the stage. After a gig with alt-county heroes Old 97′s at Milwaukee’s Turner Hall Ballroom, we bid farewell to Wisconsin until mid July. 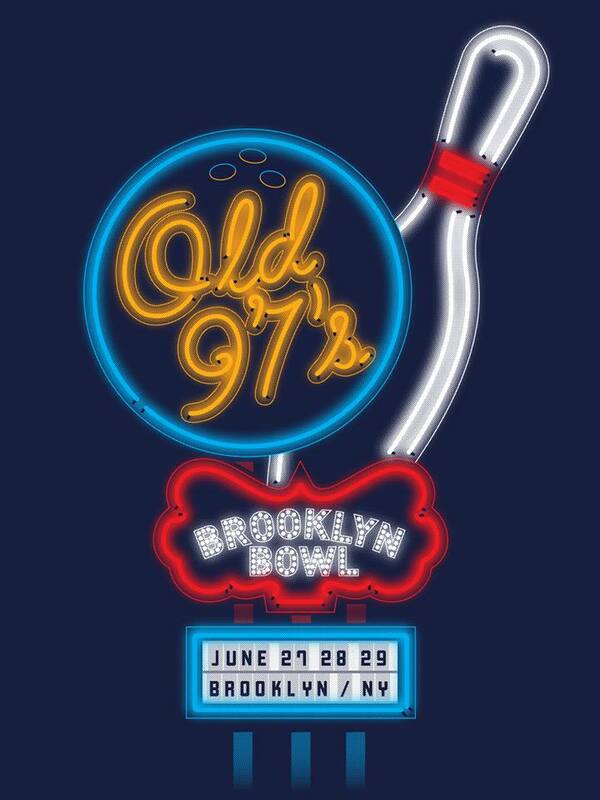 We’ll be at the Minnesota Zoo with the BoDeans and then eastbound for New York shows with Cory Chisel and another with the ‘97s at a radical music venue/bowling alley, Brooklyn Bowl. The Shades will be returning to Hudson, NY to play with our friends the Last Conspirators before joining back up with the Wallflowers for a gig in Pittsburgh. We’ll also be supporting Jakob D. and co this July in Fort Wayne, Indiana. 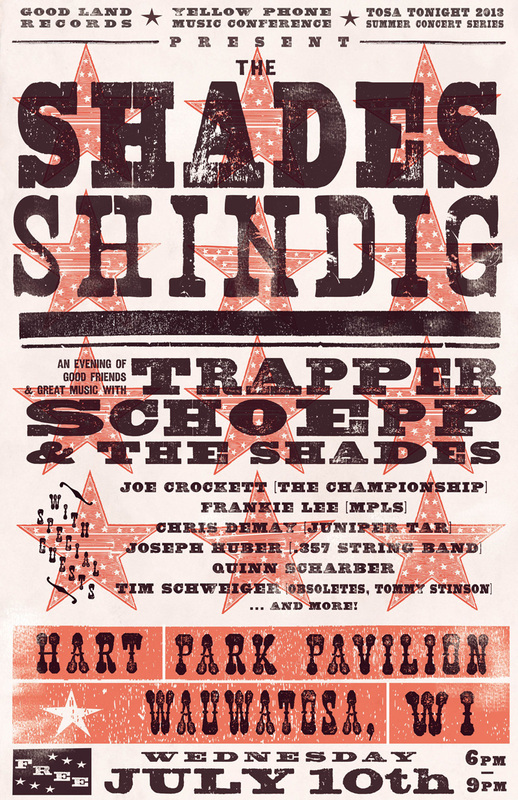 In addition to all this, we’re happy to announce we will be throwing our first annual SHADES SHINDIG this year July 10th at Wauwatosa’s Hart Park Pavillion, with the help of our friends at Yellow Phone Music Conference. We will curate a special night of good music and good friends, á la the Band. In addition to performing many of our own songs, we’ll be calling up a bevy of our talented musician pals and backing them up on their songs, with a few familiar cover tunes thrown in throughout this diverse three-hour concert. A full schedule of this summer’s fun is below. See you down the road.